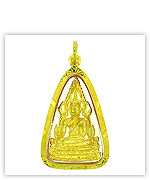 Jinaraja Buddha pendants (amulet gifts) in this category are ordered from low prices to high prices. 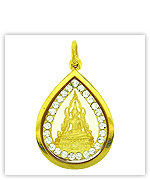 You simply click on the links or images below for more detail of each item. We also offer you a 30 day return guarantee, a life time guarantee, a low price guarantee for all items to ensure you the quality & prices of our jewelry. We ship world wide via Fed Ex, E M S, R M S, and T N T with a shipping insurance option at low cost. 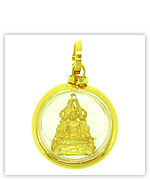 Buddha gifts, Buddha jewellery from Jinaraja amulet pendants are below.